There is a revolution happening in the way older people and supported and cared for in New Zealand. 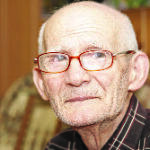 More people are being cared for in their own homes, new ways of living such as supported living units are becoming available, rest homes are changing the way they work to help older people regain function, at the same time older people who do need to live in a rest home tend to be frailer and have higher needs than was the case in previous decades. Enliven is a service offered by Presbyterian Support organisations throughout the country that enables older New Zealanders to stay in their own homes and to remain in control of their own destiny. Wesley Community Action in Wellington is a Methodist organisation that has long experience in working alongside older people in the community to help maintain their independence and quality of life. Selwyn Centres are parish-based drop-in centres for older people coordinated through the Anglican Selwyn Foundation. Operating from parish buildings throughout greater Auckland, they offer older people in their communities a morning programme, including gentle exercise, social time and activities. For many older people it is a chance to get out of the house and socialise and also allows family carers to take a break. Telling the story of changing services: During 2015 NZCCSS is working on a project to scope the range of day programmes for older people that the agencies in our networks offer. Read more about this project.